The added safety gear is worth the money, but the Cascada doesn't offer much in the way of options, otherwise. The 2017 Buick Cascada's sunny demeanor is best when the road is smooth. The Buick Cascada is the brand's first convertible since the generation-ago Reatta, and it's also GM's first American-market car made in Poland. 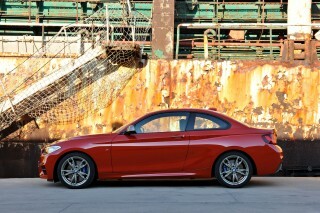 Would that it were GM's lightest-weight, best-handling convertible instead. The Polish people have many grievances in being saddled with this as their chief trade representative. 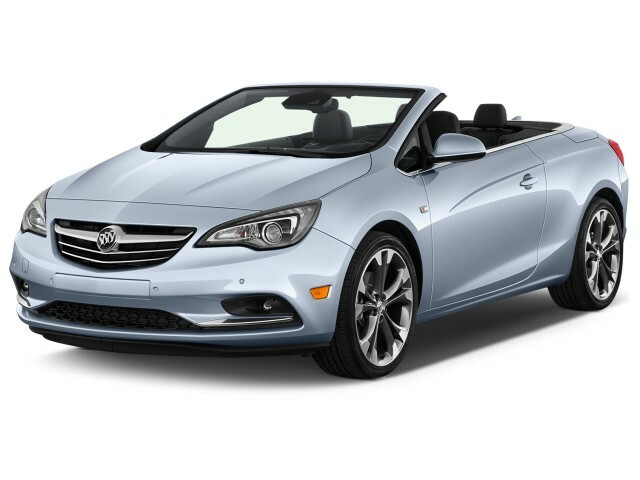 The Cascada has a charming look, and convertibles warm our hearts no matter what the season. But it's also way too heavy for the powertrain GM's chosen to install, and it rides too stiffly over the kind of roads it encounters on a daily basis. With the Cascada, Buick breaks no new styling ground. Flamboyant looks take what back seat there is to an attractive, subtle shape with a rakish profile. Though it's completely unrelated to the Regal sedan, the Cascada's incised door panels wear some of the same lines, so family resemblance? It has that. Even better would be a cockpit that shared Buick's latest touchscreen tech: the Cascada has a half-generation-old, legacy interface, with lots of tiny buttons and switches that break up its muted, soft-touch chi. 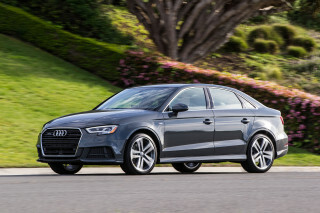 Performance bears the brunt of hefty curb weight. The front-drive convertible draws power from a 1.6-liter turbocharged inline-4 that produces 200 hp; shifts happen via a 6-speed automatic. Acceleration is adequate, but could rank alongside a GTI if the Cascada didn't weigh in at just about 4,000 pounds. The Cascada packs on the pounds in the form of body reinforcement, so it doesn't wiggle going down the road. That damps its ride on very smooth roads, but on broken pavement, the weight presses hard on big 20-inch wheels, eating up all its compliance quickly, turning the daily-driver convertible into something best saved for clear days with almost-perfect pavement. Top-down driving is the Cascada's forte. 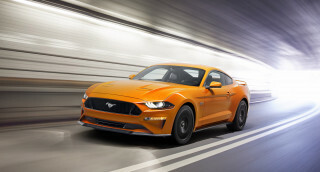 Its thickly lined convertible lid can be lowered or raised in under 17 seconds, while the car is moving as fast as 31 mph—so stoplight maneuvers are in its wheelhouse. Front passengers enjoy the best of the Cascada. Their seats are a bit high off the ground, but have great long-distance support shaped into their cushions, and have power control and heating. The back seat is much less adult-friendly; it's narrow and has low-mounted seats, but also gets sensors that block front seats from moving too far back. The Cascada has 13.4 cubic feet of trunk space with the top up, but just 9.8 cubic feet with it down. As for safety, the Cascada hasn't yet been crash-tested, but a rearview camera is standard. An option package adds forward-collision warnings and front parking sensors, but adaptive cruise control and active lane control are not offered. Standard equipment includes power windows, locks, and mirrors; eight-way power front seats; remote start; a heated steering wheel; and leather trim. The Cascada's infotainment system has a smaller, lower-resolution screen than many other Buicks, though. A wireless data connection is built in, and the Cascada has wi-fi hotspot capability, navigation, and Siri Eyes Free compatibility. Apple CarPlay and Android Auto are no-shows. The Cascada looks contemporary and clean, but the dash has too many fussy buttons and switches. 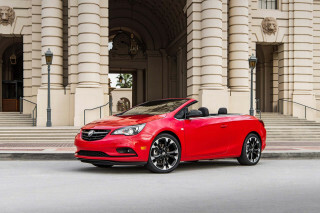 With the Cascada, Buick has a pleasantly drawn, rakish little convertible, one with some deftly drawn details. With sheet metal penned for Europe, the Cascada's proportions are global, tidy, and compact. A deep crease is drawn down its body, and that lightens the visual load, starting just behind the front wheels, all the way to the taillights. It's not quite the Nike swoosh carved into the Regal sedan, but it's a shared link. Elsewhere, the Cascada has some touches of formality, with its angled taillights, winged LED running lights, and the ring of chrome that circles the beltline. The Cascada's cockpit is more time-sensitive. The gauges and controls wrap around the driver in a way that lines up with the rest of the Buick family. Soft-touch surfaces, thin frames of brightwork, and soft colors and tones make it a very tasteful place to enjoy top-down driving. The downfall? It's cluttered with dozens of buttons and switches, as if it's hoarding GM's past. The center stack looks like a first draft of the Porsche Panamera's controls. It's a slightly dated look that Buick has improved upon with its other new vehicles. We're all in favor of big controls that aren't superseded by touchscreens—but clutter is clutter. The Cascada's turbo-4 can't overcome a hefty curb weight or a stiff-kneed ride. 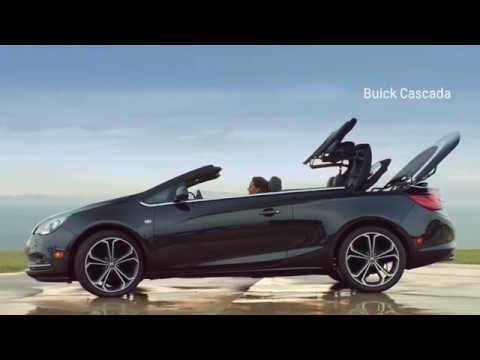 The convertible top is the part of the Buick Cascada that delivers all its performance thrills. It raises and lowers quickly, maneuvers well for something with no handles. As for the rest of the Cascada? It's a victim of lots of excess weight and a sometimes punishing ride. There's an interesting powertrain trying to make itself known here. 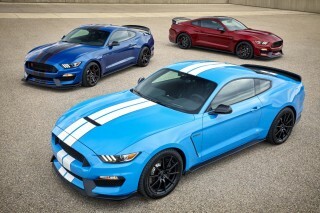 It's a 200-horsepower, 1.6-liter turbocharged inline-4 with 207 pound-feet of torque. It has smooth and linear power delivery, without much lag, even an overboost mode that raises peak torque in brief spurts to 221 lb-ft.
A 6-speed automatic is the only transmission available, and that's fine for a boulevard cruiser like this. The Cascada doesn't even consent to paddle shift controls—if you want to shift it manually, you'll have to drop a hand to the console shift lever. There's little reason to do even that. The Cascada already has its quick-to-upshift schedule down, like a Sunday golf time. The small-displacement turbo-4 moves the Cascada off the line just fine, but with a couple of adults present, it strains before it hits a performance wall. Gaining momentum instantly becomes a challenge in uphill climbs, too. Blame lots of ground-hugging weight: the Cascada checks in at 3,979 pounds, heavier than some LaCrosse mid-size sedans, 500 pounds more than the old Chevy Cruze diesel. 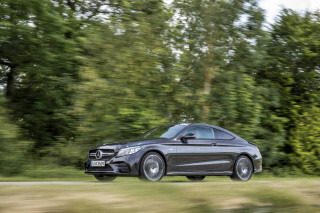 The weight hampers acceleration, but it helps smother some road flaws on near-perfect flat roads. Our first drive in the Florida Keys left us with one impression of the Cascada, that of a distinctly non-compact-car ride, one that was smooth, especially for a small car riding on 20-inch wheels. The Buick Cascada is really meant for two passengers; back-seat room is big enough, barely, for small adults. Like most four-seat convertibles, the Buick Cascada treats its front-seat passengers very well. The back seat isn't very large or comfortable over long distances, and luggage room is adequate. For passengers in the front seats, the Cascada offers up a sunny driving experience. The leather-wrapped bucket seats have power adjustments and good bolstering that gives away its European roots. Power-operated arms bring the seat belts forward so they're not forgotten. The front seats are supportive for long drives, but the seating position is rather high for a sporty two-door. A modestly sized back seat gives adults enough room for a cross-town drive, but the Cascada's rear bench isn't the place to sprawl out for a round of suntanning. The seats are low, the space is narrow, and the body sides rise to shoulder height. A nice touch adds sensors that will stop the front seats from reversing into back-seat knees. The back seat's better used as an extension of the trunk. Like most convertibles, the storage area is small, even smaller when the top is lowered. 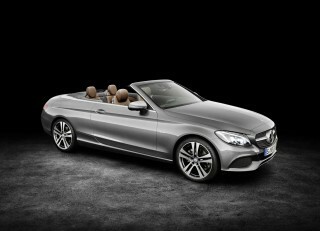 It’s 9.8 cubic feet when the top is down, and 13.4 feet with the top raised. For more space, the rear seat backs fold forward for expanded access to the trunk, through a cat-carrier-sized cutout. Operating the convertible top is a snap. Well, really, a switch or two. A bracket-shaped lever on the console allows the driver to raise or lower the top in 17 seconds or less—at 31 mph or under, in stop-and-go traffic for example. A single switch lowers or raises all four windows. With the top up, the Cascada's thickly lined top renders it quiet enough to hear conversations or streamed music. The Cascada hasn't been fully crash-tested yet, but some advanced safety tech is available. A full set of crash-test ratings aren't yet available, but what's in so far is good. Federal testers give the Cascada a five-star overall rating, including four stars for frontal and rollover crash safety. The IIHS hasn't yet weighed in on the new model, so we're withholding a score until we see more data. All Cascada convertibles come with the requisite front and side airbags, as well as a set of pop-up roll bars that protect passengers in a rollover incident. Even with the top up, outward vision is good in the Cascada. It does have small side mirrors placed further back on the door than we'd like. It's a boon for aerodynamics, less helpful for monitoring the road. 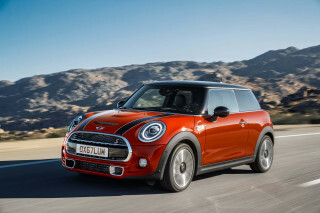 A rearview camera, lane-departure warnings, and rear parking sensors also are standard. 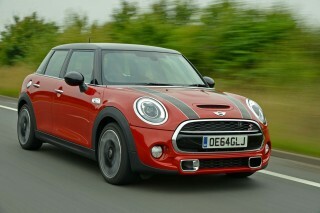 A package including forward-collision warnings and front parking sensors is an option. However, the Cascada doesn't offer blind-spot monitors or adaptive cruise control or active lane control, or any of the features becoming standard equipment on other luxury vehicles—even those in the mass market. With just a handful of safety options on the table, the Cascada makes the most compelling features standard. There's plenty of standard equipment on the 2017 Buick Cascada. Only safety gear and color choices are left on the options sheet. With a base price of in the mid-$30,000s, the Cascada comes with power features; a rearview camera; eight-way power front seats; rear parking sensors; remote start; a heated steering wheel; and leather trim. A Premium version bundles in forward-collision warnings; lane-departure warnings; front and rear parking sensors; and automatic headlights. A new Cascada ST has a flat-bottomed steering wheel, distinct blue paint, a black canvas top, and newly styled wheels. The Cascada's infotainment system isn't as good as that in other Buicks. It has a smaller (7.0-inch) and lower-resolution screen that's controlled by a set of buttons and and a rocker switch/joystick. It's a fiddly system that's been superseded in other GM cars by a bigger, prettier touchscreen interface. The Cascada's connectivity features include an OnStar 4G LTE data connection with built-in wi-fi hotspot (with data services available through a subscription), text-message alerts, and Siri Eyes Free compatibility. The Cascada puts less a priority on gas mileage than it does on top-down driving. The Buick Cascada has decent, but not great, gas mileage. The EPA pegs the Cascada at 20 mpg city, 27 highway, 23 combined—with no alternative drivetrains, or high-economy versions in the offing. 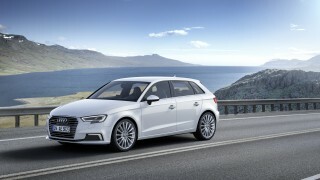 Those figures are a fair amount lower than vehicles like the Audi A3 Cabriolet, which checks in at 24/35/28 mpg. In real-world driving, the Cascada suffers for its hefty curb weight and its aggressive transmission programming. In about 70 miles of mixed-condition driving around L.A. boulevards and freeways, over a couple of days, the trip odometer on our test car showed an average of 17 mpg—surprisingly low for a modest four-seater with a 1.6-liter engine.